At Five Seasons we really do care we really do care that you belong that you belong Five Seasons Family Sports Club is a "true club," our Five Seasons Family Sports Club is a "true club," our staf and members share a spirit that fosters a sense of staf and members share a spirit that fosters a sense of community for everyone that belongs. Our resort-like club is community for everyone that belongs. Our resort-like club is committed to creating a culture that cannot be matched. committed to creating a culture that cannot be matched. We offer something for everyone – Tennis, Fitness, Swimming, We offer something for everyone – Tennis, Fitness, Swimming, Childcare, Social Events, Youth Programs and more! 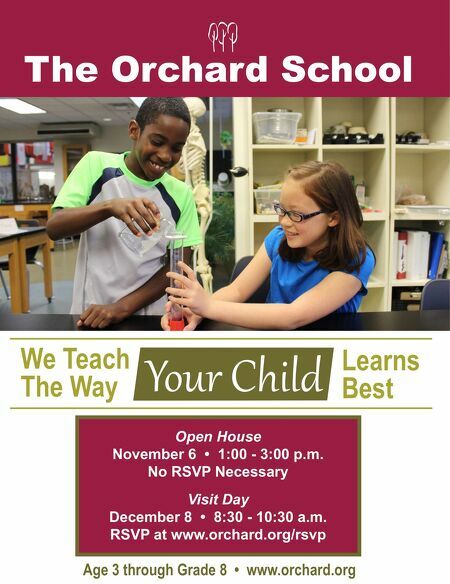 And our Childcare, Social Events, Youth Programs and more! And our caring team is here to help you be your best. Our professional caring team is here to help you be your best. Our professional staff includes personal trainers, tennis pros, fitness instructors, staff includes personal trainers, tennis pros, fitness instructors, swim instructors and massage therapists, just to name a few. swim instructors and massage therapists, just to name a few. Once you experience the unbelievable amenities, community Once you experience the unbelievable amenities, community atmosphere, and unmatched staff, you'll quickly find out why atmosphere, and unmatched staff, you'll quickly find out why Five Seasons is the best place to belong! 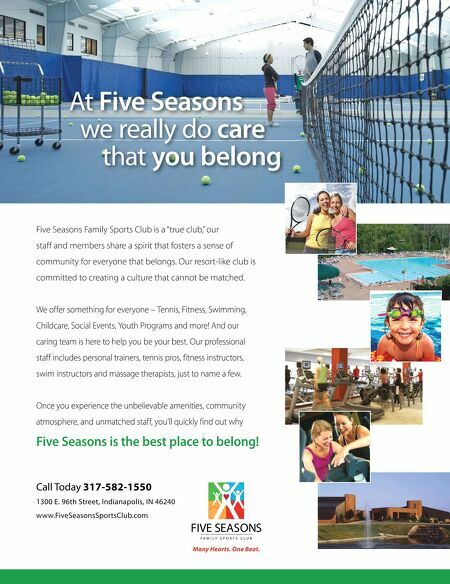 Five Seasons is the best place to belong! Call Today 317-582-1550 Call Today 317-582-1550 1300 E. 96th Street, Indianapolis, IN 46240 1300 E. 96th Street, Indianapolis, IN 46240 www.FiveSeasonsSportsClub.com www.FiveSeasonsSportsClub.com Many Hearts. One Beat.